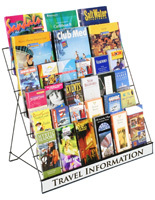 These Countertop Displays are Ideal for Presenting Many Types of Items. 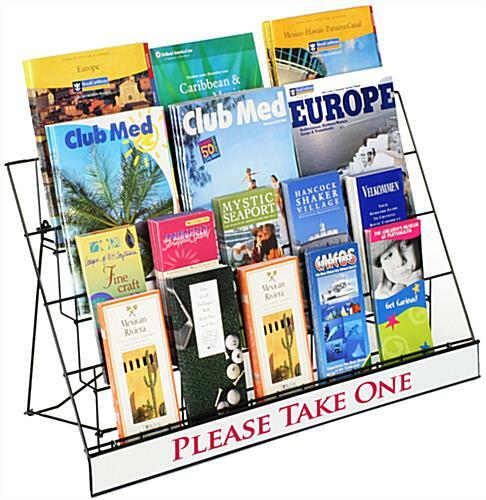 The Wire Holders can Showcase CDs, Books, Magazines, and Brochures. The Countertop Displays are Most Useful When Placed on a Cash Wrap to Increase Impulse Buys. 4 open rows are able to present combinations of goods. Metal holder is available at a very affordable price! Shelving has a channel sign at the base for custom messages! These countertop displays present a large selection of commercial offerings. 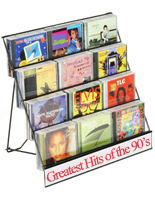 Showcase music, goodies, and magazines together with a theme for customers. 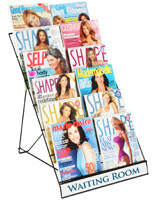 Tabletop holders, countertop displays are some of the more cost-effective methods for increasing sales. 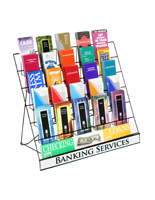 The POS kiosk is built with lightweight and durable wire to make it strong and long-lasting. The countertop displays have a 4 row, open design that also uses 2½" deep slots. 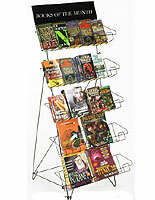 The wire stand is best used when is combines materials for sale, like cards, magazines, and DVDs. 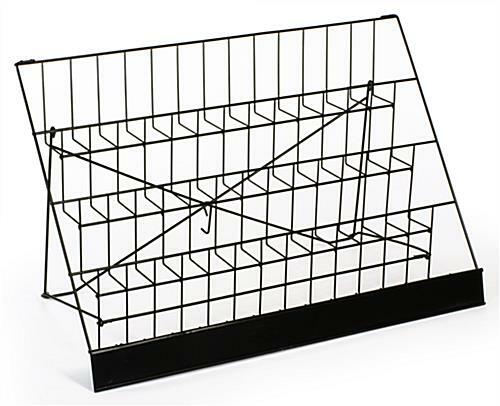 Countertop displays, called wire racks, are some of our best-selling commercial accessories. 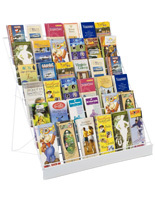 Merchandising stands are able to be used in bookstores, gas stations, supermarkets, and other locations. 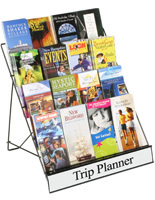 Countertop displays are great space-savers and are light enough to be portable. The bottom of these wire racks has a space for a channel sign that measures 29" wide x 2-1/2" high. These countertop displays do not include custom signage with purchase. 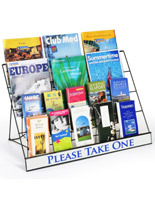 The example insert is presented as a possibility of how a personalized sign could look in the holder.